Do you experience a very low conversion rate regardless of the decent traffic on any web page on your website? You are not alone; many business owners complain the same. The problem is with our approach. I will help you to craft your web pages for the search intent of your prospective customers so you can satisfy the intent of the visitors which make conversion easier. Most of us are obsesses with optimizing the website for the search engines. We may fill the keywords and build some links to the page to make it rank higher on search engines. There will be a reason or goal in the mind of the people when they open the favorite search engine and type the keyword. As a content provider, we need to understand the goal or intent behind the search and create content to satisfy them. Primarily there are four search intents, and you can categorize any keyword under one or more of these search intents. The search intent of a keyword may vary from person to person. Sometimes, a person may use the same keyword over a span of time with multiple search intent. Search engines are mostly used to get information quickly. It can be to get information about a person or a topic or to learn how to do something like cooking a special food item. The possibilities are infinite. In all these cases, the search intent of the searcher is purely informational. All they need is some information. The searches related to informational intent is most of the time in the initial stages of the buyers’ journey. At this stage, it is very difficult to convert them. Therefore, you should focus on promoting your brand product implicitly while providing the information they want. In business websites, we usually address the information requirement of the prospective customers through a blog. Therefore, it is relatively easy to optimize your content for the information search intent. Sometimes people use search engines to go to a predetermined website or web page. For example, many people search the term “fb” on search engines to go to Facebook’s home page or login page. You will hardly get traffic for the keyword with navigation intent if your website is not in their mind when people do a navigational search. The brand name search can be a navigational intent. If a person for a search for your company name, they may be searching for your website. You should remember that brand name search can also be with informational intent. All you need to deal with navigational intent is ensuring that your website appears first. It is not that difficult. You should also ensure that there are no results that cause a negative impact on your brand image. The searchers are determined to buy a product or service at this stage but not sure which one but they will purchase in the very near future. Your website visitors are about to make a decision at this stage, so you need to convince them your product is the best for them. You should focus on emphasizing how your product is different from others and why they should buy from you. Your value propositions should be compelling enough to make them feel that you are the best option for them. Your prospective customers are determined to buy the products at this stage. Sometimes, they may visit several websites before they make the purchase. It is also possible that they have already decided to buy the specific product from the specific website. 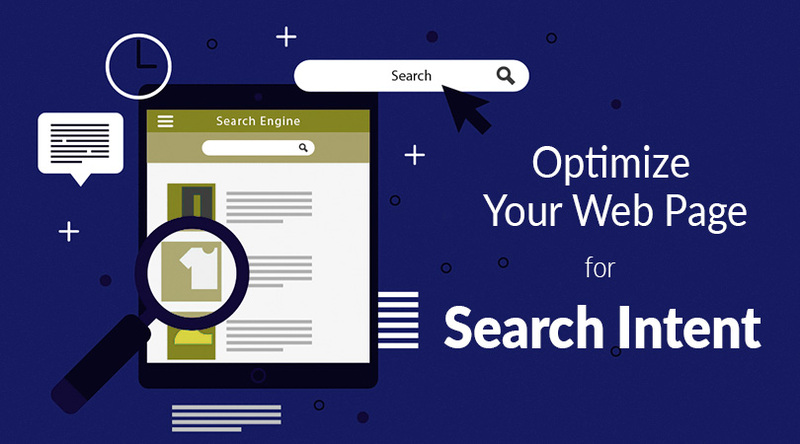 All you need to optimize the web page to provide a smooth buying experience. If you don’t sell the product or service via websites, you can provide a well-designed contact form to help them reach you. It is crucial for businesses to understand the search intent of their targeted keywords and optimize the content based on that. It helps address the needs of visitors and improve the conversion rate.